You don't want to miss this beautiful, well maintained and upgraded single level home! It's an easy accessible street level unit with all the modern features you want. The smooth ceilings are extra high and add to the spaciousness of the open floor plan complimented with wood flooring, some recessed lighting, and thick baseboards. The focal point of the living room is the custom, built in cabinetry that surrounds the fireplace and provides added storage and decorative shelving. 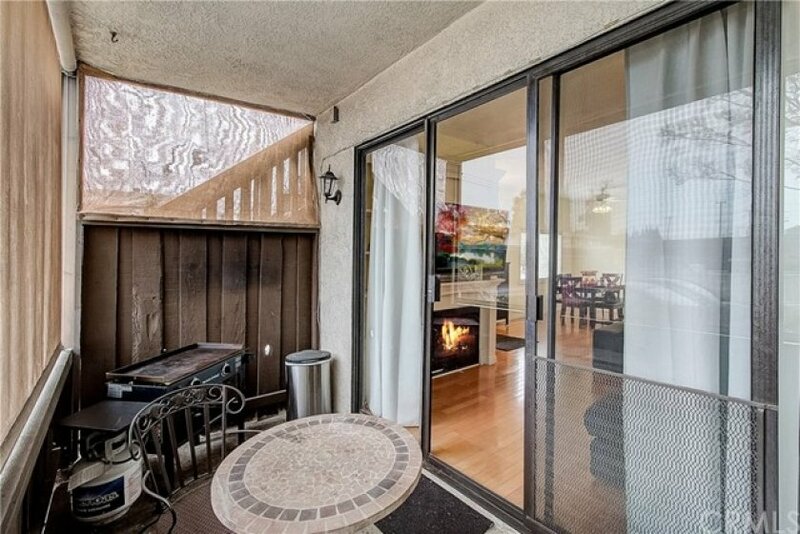 This space is enhanced with a slider to the private patio for ease of outdoor entertaining or relaxation. The adjacent kitchen, upgraded with granite counters and white cabinetry give a fresh feel to this open and well thought out space. There's a convenient breakfast bar as well as a dining area. All of this is perfectly situated to maximize natural light all day. Down the hall is a laundry closet with storage and a gas dryer connection. 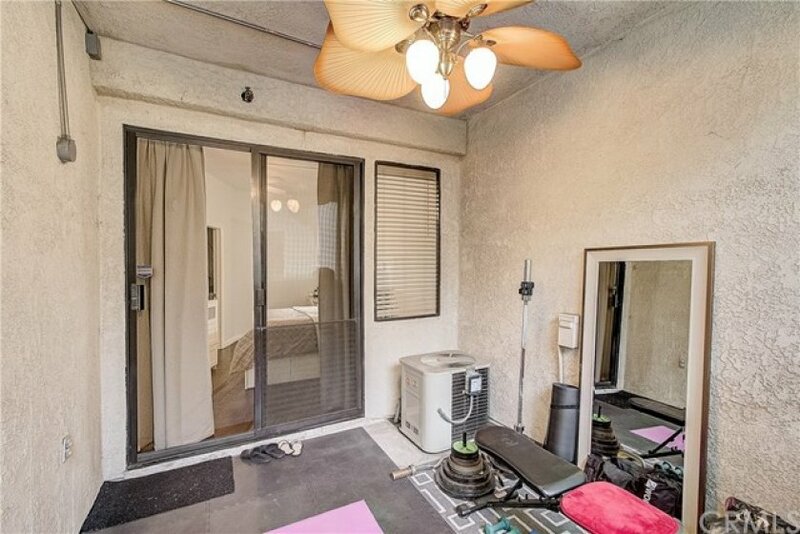 The master bedroom is generous in size and has an adjacent outdoor area perfect for your home gym or master retreat. The master bath has his&hers sinks, granite wood vanity with storage and a full shower of floor to ceiling tile, a built in bench and shampoo shelf. The walkin closet is enormous and has custom organizers! 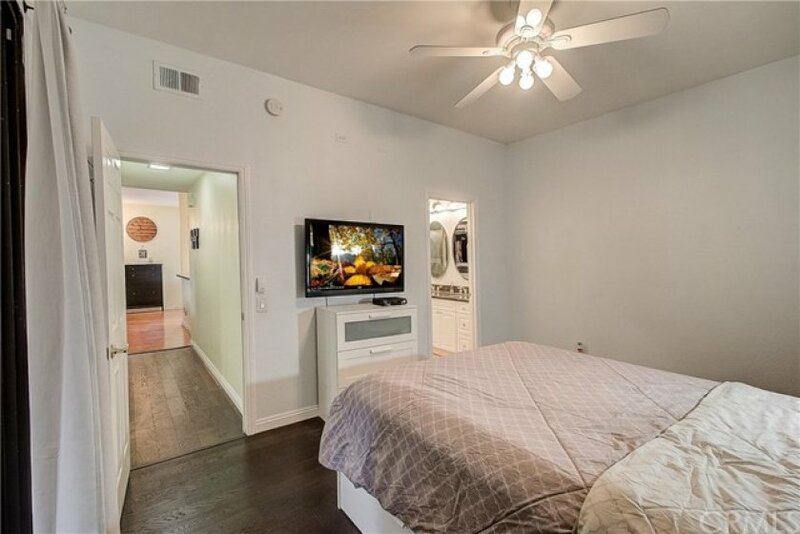 The secondary bedroom is also large with a mirrored wall closet, also with custom organizers. There are two larger closets to store linen or houshold supplies. It also has a two car garage! 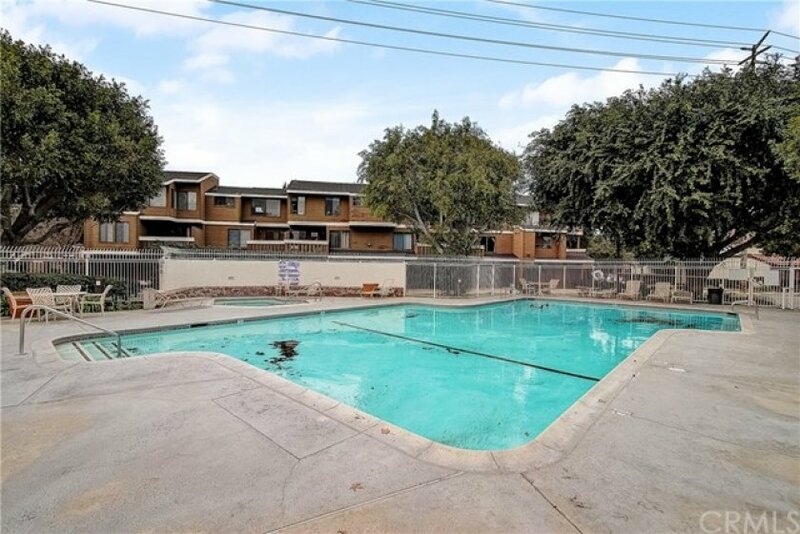 Near the pool, spa, and tennis courts!